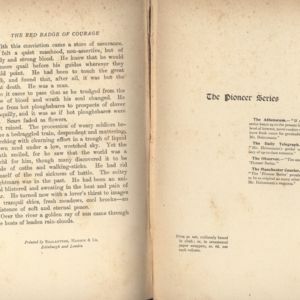 The opening of Heinemann's edition of The Red Badge of Courage. 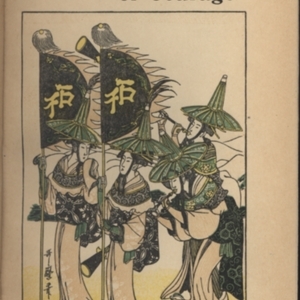 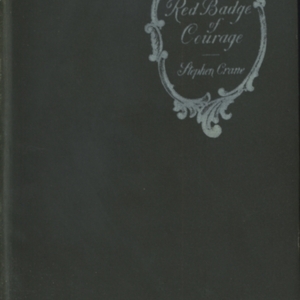 The cover of Heinemann 1896 edition of The Red Badge of Courage. 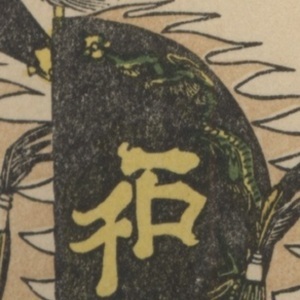 Plain with filigree. 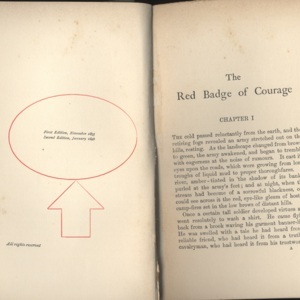 Insert Illustration of The Red Badge of Courage, from 1896 Heinemann edition.